Monsoons have finally arrived in our part of the Earth and all the miseries inflicted by the seemingly unending summers are forgotten. Everything comes to an end and every end has a new beginning. This is the law of nature. Birds, beasts and all the creatures are reveling and the beauty of the rain washed landscape has lifted the spirits of all the denizens. Change in the climate has a profound influence on our dietary preferences. Some time ago, the curd was running out of stock in our home. As temperatures have come down, curd has been lying in the refrigerator untouched. The craving to have curd has just disappeared. 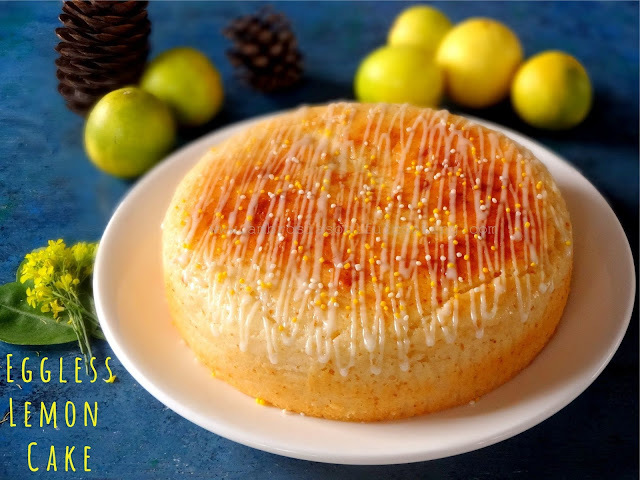 I decided to celebrate as well, the end of sultry summers by baking a Lemon Cake. This recipe would also use the curd lying in the refrigerator. Lemon cake is a very different kind of cake. 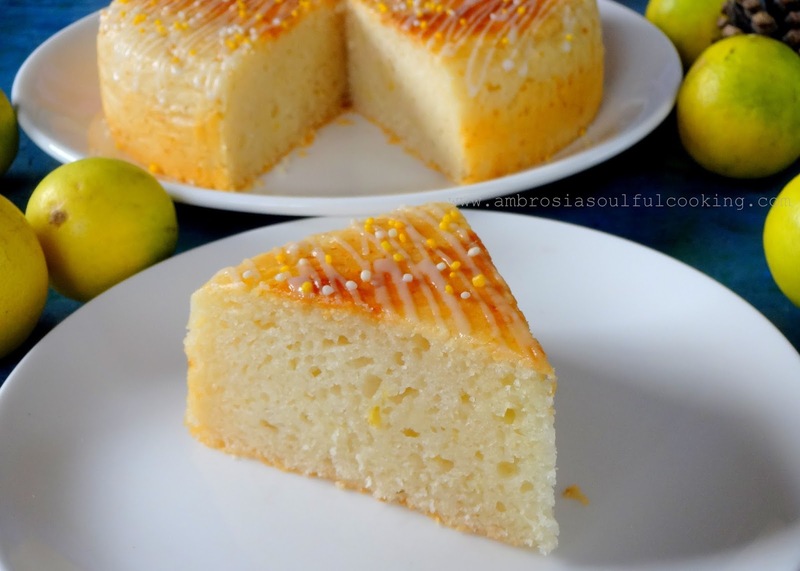 Unlike other cakes, it has a subtle citrusy aroma and a tangy flavour. The slices are moist and melt in the mouth. We have baked this cake several times. 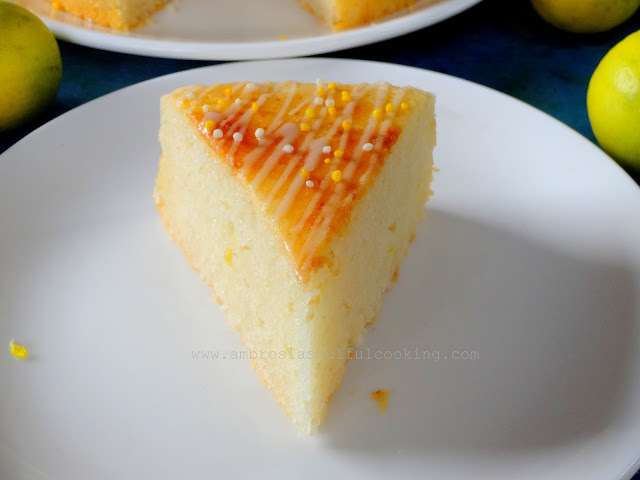 Whenever we have lemons from our tree, we love to bake this cake. Preheat oven to 180 degrees C. Grease and line one 7 inch round cake pan or one 8 x 4-inch loaf pan. In another bowl, take next three ingredients. Beat till smooth. Now slowly add dry ingredients. Stir to mix well. Do not stir for too long. There may be some lumps in the batter and that's ok. Check by inserting a skewer. If it comes out clean, the cake is done. Remove from the oven and let it cool in the tin for 10 minutes and then transfer it to the cooling rack. 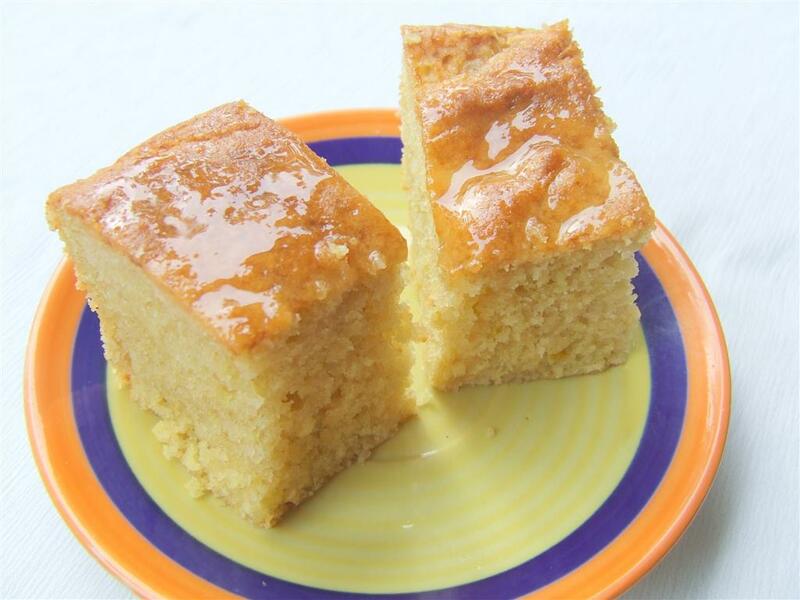 For topping, mix 3 tablespoons of sugar and 3 tablespoons of lime juice and heat the mixture until sugar dissolves. Pour this topping on top of the cake. Leave it for two hours before eating. Or, whisk icing sugar and lemon juice. Drizzle over the cake. Note: I used 1 cup whole wheat flour and ¾ cup refined flour. I used mineral sugar in place of white sugar. This looks like heaven. I've tried making one before only to have it turn out horribly bitter. Would you recommend Indian limes or Firangi lemons for this recipe? Hello Pradita, I used the popular small size lemons we get here. These are also called kaghazi nimbu due to very thin skin. I used the ones shown in the picture. I hope your give it a try and love it this time. Happy Baking! Is it ok to use honey instead of sugar in tis recipe--half cup honey?? Hello Shivani, you may use honey. In that case you will have to see that the consistency of the batter is right. It should not become runny. Take 1 cup of curd. Add more only if the batter is thick. Do share your results. Happy Baking!